Child Custody & Visitation Mediation | Amaral & Associates, P.C. Mediation may be an option if each party wants to save money for their children’s interest instead of paying excessive fees to their lawyers and if both parties wish to reach and create a thorough agreement in a short period of time usually a month or so as opposed to waiting close to 14 months for the traditional and contested divorce to play out. Would you like to reduce the fees involved in child custody for the same results? 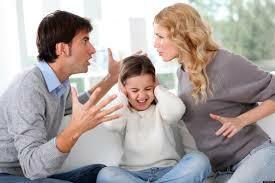 If you are able to Mediate your child custody matter it reduces costs significantly. Eliminating costs means that money can be spent on the children and their education. Instead of spending upwards of $ 10,000 each and usually more on attorney fees, you can spend less than $ 1,000 each through Amaral’s FIT Divorce Mediation program. Child custody is a term that refers to the rights and responsibilities that a parent carries with respect to his/her child. What is child visitation and a “Parenting Plan”? The term “child visitation” refers to the time when the non-custodial parent has the right to be with the child. The custodial parent’s right to be with the child is often subject to the non-custodial parent’s right to visit with the child. What factors determine custody and visitation? The term “parenting plan” refers to the agreement between the parents or the court order which defines provisions for custody and visitation. The parenting plan also defines when the child is to be with the non-custodial parent. Child support is a payment by one parent (often the “non-custodial parent”) to the other parent for the support of their common child. It is in the best interest of a child for both parents to be obligated to pay for the support of their child.